My friend Julia, her little baby girl and I had a “Girl’s Night Out” dinner recently over at California Pizza Kitchen. I don’t think I had been to California Pizza Kitchen in years in years, probably not since I was in college (or just shortly graduated). I don’t think too much has changed though in the intervening years. The still have their “California” style pizzas, an array of salads and other entrees (you don’t have to only eat pizza when you visit California Pizza Kitchen, you know). I really loved the flavors of this salad – it had slightly sweet taste and lots of crunch (I love crunchy stuff) from the rice sticks and peanuts. 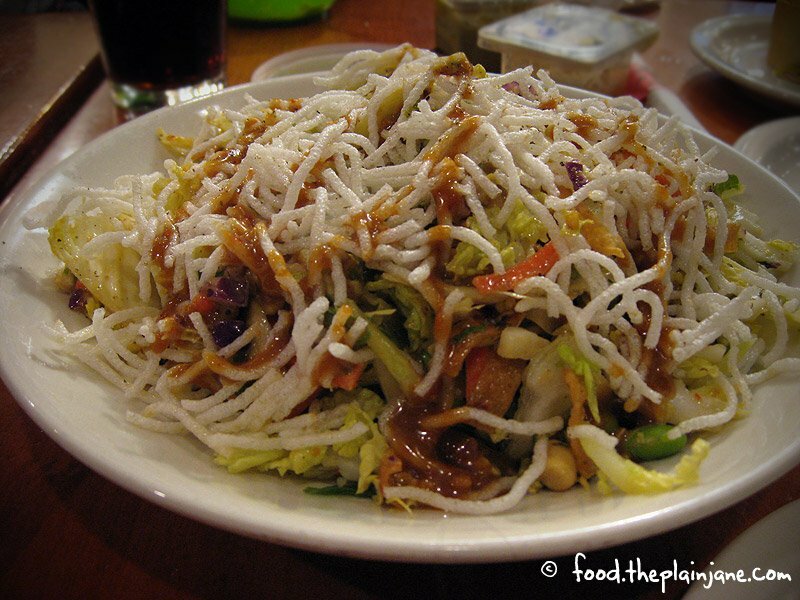 Normally I can’t stand cabbage, but its hidden well when tossed all together to make up this sweet-salty-crunchy salad. A really good choice to start! We kept things sort of light by ordering this Wild Mushroom Pizza for sharing. “Cremini, Shiitake, Portobello and white mushrooms, Fontina and Mozzarella cheeses with a wild mushroom walnut pesto. Garnished with chopped Italian parsley.” We added chicken to the pizza as well for a little bit of protein. I really loved the combination of mushrooms on this dish – this is a pizza I could only order with a few of my friends since I have a few people I know don’t like mushrooms. I don’t understand this in any way since I can’t seem to get enough of mushrooms. The sauce on this pizza was light and not overpowering for the mushrooms to really shine. The dough is slightly thick and chewy and a good combination of flavors that melt in your mouth. Julia and I both really enjoyed our shared dinner – no leftovers to be had here! 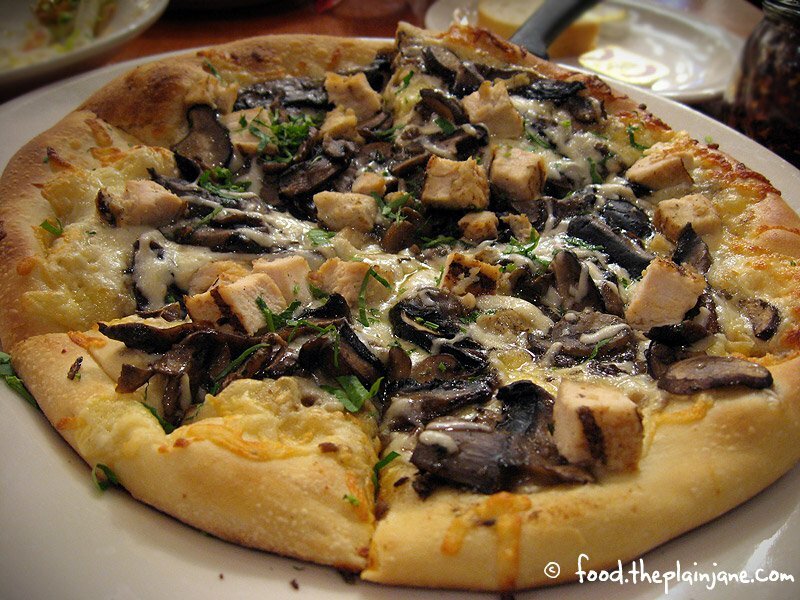 California Pizza Kitchen serves up “regular” pizzas (you know, the kind with just meats and cheeses) as well as some of their innovative pizzas, such as Thai Chicken, Buffalo Chicken Pizza, Pear and Gorgonzola, California Club Pizza and their BLT Pizza. With 7 locations in San Diego alone, you’re sure to find a CPK near you in Southern California!